Ratings Results of Interest: Last night, NBC’s Manifest slipped from its debut numbers, posting a 1.8 rating based on same day viewing for the 18-49 demographic with 8.5 million total viewers (according to the preliminaries). That’s an 18% decline from last week, but not bad for a post-premiere drop and it only lost 14% from The Voice in the lead-in hour. These days, broadcast network executives are more than happy with anything above a 1.5 and will even tolerate lower numbers if they have confidence in the show. We will have to see how this one tracks over the next few weeks, but it is definitely holding up to its promising start at this point. On Tuesday of last week, FOX’s X-Men spin-off series The Gifted returned for its second season and posted 0.9 rating with 2.6 million total viewers. That’s not a great start and the show is down by 11% from its first season average, but its not time to push the panic button yet on this one as I go into in more detail at this link. Over on USA on Tuesday, The Purge held at a 0.44 rating with 1.1 million total viewers and again placed at Number 4 for the evening among cable shows. On Wednesday, FX’s American Horror Story slipped to a 0.92 rating with 1.9 million total viewers, but that was still the highest rated cable show for the evening. On Thursday, NBC’s The Good Place had a 1.0 rating with 3.1 million total viewers for its third season premiere. That’s down 11% from its second season average, but if it holds in this range it should be good enough for a Thursday show on that network. On Friday, MacGyver returned for its third season on CBS but only managed a 0.7 rating with 5.8 million total viewers. That’s down by 16% from its second season average, but the show is likely still safe. It is owned by CBS and it is in the syndication stretch (more on that below), so it will almost certainly come back for at least one more season. Over on Syfy, Wynonna Earp slipped to a 0.10 rating with 364K total viewers for its double-episode season finale, but that one has already been renewed for a fourth season. On Cinemax, The Outcast improved to a 0.05 rating with 108K total viewers for season finale (which will almost certainly be its series finale). On Sunday, God Friended Me debuted for CBS and posted a 1.3 rating with 10.1 million viewers for its series premiere. Those are decent numbers for CBS on a Sunday night, but the show got a boost from NFL overrun and 60 Minutes. Still, if this one can hold at or above a 1.0 rating, it could survive to a second season. Over on AMC, Fear the Walking Dead edged up to a 0.71 rating with 2.1 million total viewers for its season finale. That one returns next year for its fifth season. No numbers for TNT’s The Last Ship again (they listed their lineup as repeats last week and probably did again this week), but those will be posted when available. The Fall 2018 Season is upon us and brings more than forty new and returning sci fi and fantasy television shows. See our full rundown of the shows at this link and the full schedule at this link. News Roundup: Marvel TV head Jeph Loeb has said that a second season of Netflix’s The Defenders team-up series could still happen and possibly include other superheroes. Amazon has given a series order for The Wheel of Time based on the fantasy books by Robert Jordan. Neflix has plans to make some of its shows interactive, allowing the viewer to chose the ending, and Black Mirror is included in that. Fear the Walking Dead (AMC, Status – Renewed): After getting off to a strong start in its fourth season, the ratings trended downward for this one, but AMC still renewed it for a fifth year. That does not come as a huge surprise because it is still one of the highest rated cable shows, and the network is likely targeting at least six seasons total for this one to get it to a syndication friendly count of episodes. God Friended Me (CBS, Status – Renewal Possible): This show had a decent debut for a CBS Sunday series, though it did get a boost from NFL overrun and 60 Minutes. But, if it can hold at or above a 1.0 rating and/or stay in the Top 25 based on total viewers, it could survive to a second season. The Gifted (FOX, Status – Renewal Possible): This show returned down from its first season numbers, but it is too early to determine if that is a bad thing. We will have to see how it compares to the performance of FOX’s other programming and if it manages to make it into the Top 25 based on delayed viewing like it did last year. I will keep a close eye on this one over the next few weeks. 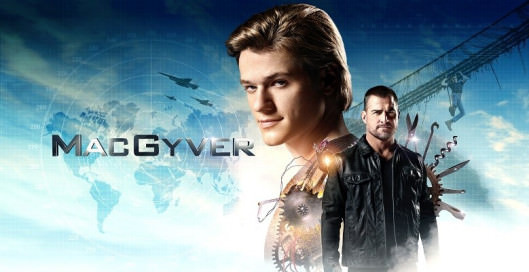 MacGyver (CBS, Status – Renewal Possible): This show has returned down from last year’s numbers, but that may not matter. It is owned by CBS and it will have three full seasons after this year, so it is worth it to the network to keep it going at least one more season to get it to the episode threshold the syndication market prefers. Also, it plugs up and hour on low-viewership Fridays. Manifest (NBC, Status – Renewal Possible): This one pulled very strong numbers for its series premiere and experienced only a modest drop in its second week. If it can hold at or above a 1.5 rating, then this one will certainly fly right into a second season. Outcast (MAX, Status – Cancellation Likely): This show has wrapped up its second season and is almost certainly done since the contracts for the actors lapsed last year. The network had indicated that if viewership was strong enough for the second season in the U.S. that they could try to get the cast back. But it barely registered in the ratings (averaging only a 0.03 score), so it appears to be finished. The Outpost (CW, Status – On the Bubble): The numbers for this one have been low even for a CW series, but as an acquisition to fill up space on the Summer schedule it’s not necessarily doomed. If it does well internationally and if it does not cost the network too much, it could be back for another season. The Purge (USA, Status – Renewal Possible): The debut numbers for this show were good, and it has not suffered too much from the loss curious onlookers after the first episode. USA has billed this one as a “10-Episode Television Event”, but if the ratings hold around current levels the network may extend that. Wynonna Earp (Syfy, Status – Renewed): This show performed mostly even with last year’s numbers, and is one of the few shows not experiencing year-over-year declines. But those numbers are still pretty low, and fans should definitely remain active on the social networks to help expand the audience beyond its cult following when it returns next year for its fourth season.